SIXMIL will proudly be supporting this amazing event run by Warped Sports and Ace Airosft with our range of hire weapons and equipment from the 3rd - 5th May 2019.
north vs south event 2019 - mod swynnerton, stone, staffordshire. 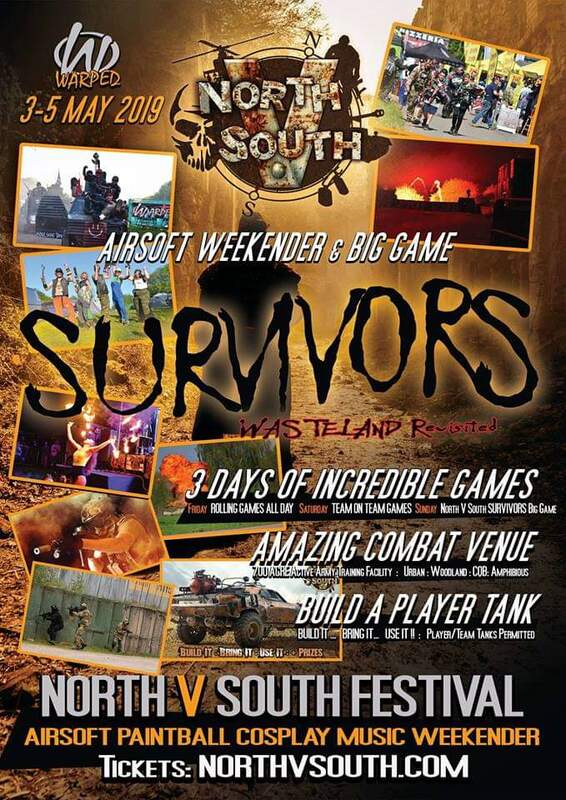 This year we are proud to be supporting Warped Sports and Ace Airsoft’s North vs South event by providing our Airsoft Rental Service to players attending this event on Fri 3rd to Sun 5th May 2019. The event itself is spread across the entire 700 aches of MOD Swynnerton, Staffordshire and attracts Airsofters, Paintballers and other combat sports enthusiasts from across Europe. The SIXMIL Armoury will be there, providing most of our range of weapons plus additional clothing and kit options to new and casual players who want to experience Airsoft at this amazing site. In addition to our rental kit, SIXMIL will also be outing its new Airsoft Target Range on site, giving players a chance to test our weapons and even take part in a shooting competitions! More details to follow over the next few weeks regarding the weapons and kit that will be provided on site, and also more details to follow including a sneak peek at our new range!